Amwell: 25% Off Your ONLINE Urgent Care Visit With Code: MOM2! 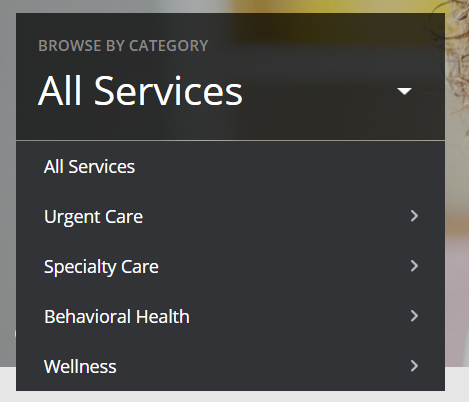 You are here: Home / Sponsored / Amwell: 25% Off Your ONLINE Urgent Care Visit With Code: MOM2! I was asked to use and write about my experience with Amwell. I received a FREE visit in order to try it out and give my honest opinion. First of all I have to say I was excited to try it! 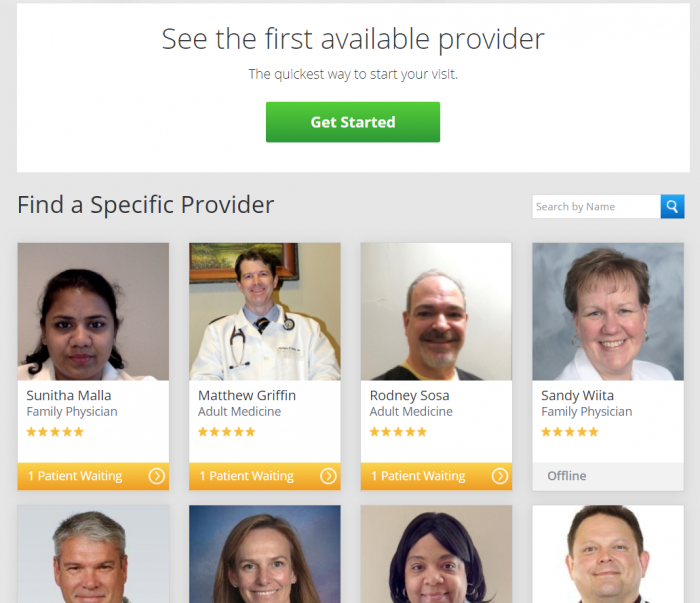 Amwell is a telemedicine service, you can see a doctor and talk to them on a mobile device or your pc. Which means that you don’t have to leave home to see a doctor! Now, of course we know that for the most part “housecalls” are long gone, but, telemedicine is a very close second! My visit was great. 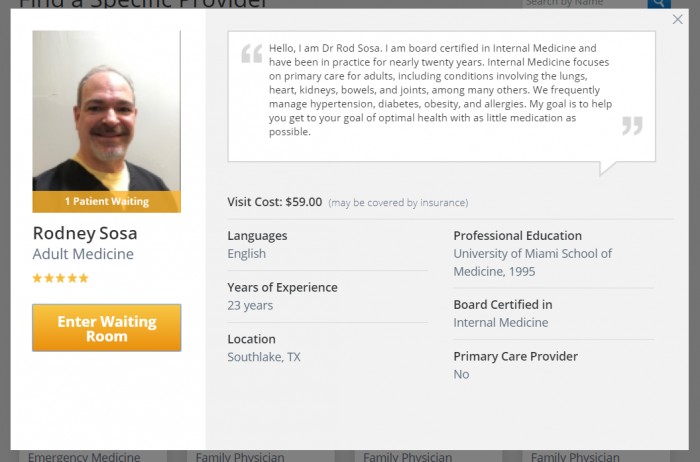 I filled out all of the “get started” info which was quick, and then I looked through all of the doctors available right then and their qualifications, chose the one I wanted to see and I was told it would be about 10 minutes. The waiting was less than when I go in to see a doctor and I was able to continue working until the doctor popped on! The doctor asked all of the questions I would expect, and listened to everything I said. I had my bloodwork from my last visit available and was able to share that with the doctor. After looking at all of that and talking with me we decided to change the dosage I am on for hypothyroidism. I also requested a refill for some sinus spray I occasionally use and the doctor got all of that information, as well. I called my pharmacy within 30 minutes of my visit and they had already received the prescription and were filling it! Once my visit was over I received a summary of the visit that covered why I needed a visit, my personal stats, what we covered, the doctor’s diagnosis, my prescriptions, and recommendations for tests – such as: mammogram and so forth. So I have a complete record of the visit and what we discussed. The notes on our discussion were quite thorough. I just can’t tell you how easy it was. I didn’t feel we missed anything we should have discussed or done. I very much liked that fact that we could see each other as we were talking – it made a better connection as far as I am concerned. I read many reviews before I got started and one thing that stuck out to me was people saying they were in bed at 3 am and called and got a doctor right then and were able to get the help they needed immediately. I can imagine how nice that would have been when my kids were younger – being able to see a doctor and them seeing my child. That would have been such a comfort and would have saved many sleepless nights of worry – or even weekends or visits to the emergency room. This service is fantastic! Check it out for yourself, I COULD NOT recommend it any higher! Amwell is offering you $15 off your first visit! To get started, just head over to Amwell.com and sign up – it’s super simple and quick and easy, use code: MOM2 to receive 25% off an urgent care visit! Offer good through 12/18/18! 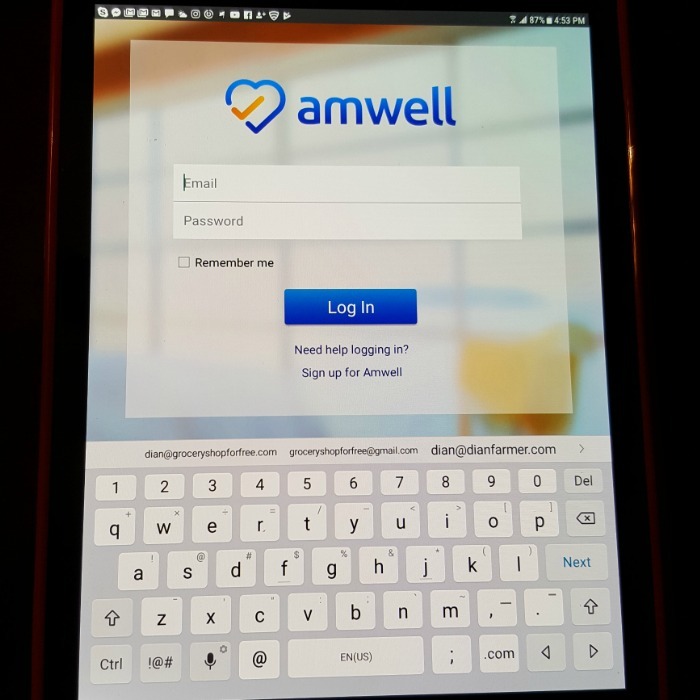 Amwell is the nation’s largest telehealth company, connecting users with board-certified, licensed doctors for immediate and live, online visits—day or night, on either mobile or desktop. Some general conditions our doctors encounter include: minor illnesses and injuries, general health and wellness concerns, prescription refills, and chronic condition management. We employ primary care and specialist physicians, as well as licensed behavioral therapists and registered dietitians, to meet our patients’ health and wellness needs. Amwell doctors are available 24 hours a day, seven days a week, and are dedicated to keeping you healthy — all from the comfort of your home.